Happy New Year! My Scrooge-ish ways were changed when I heard that there were two fireworks shows going on at Inner Harbor, so I joined my neighbors and went to see. 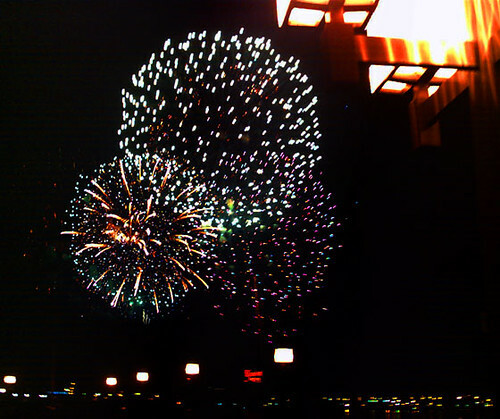 Fireworks over Baltimore Inner Harbor, multiple exposure. Photo taken with an Aiptek Mini Pencam 1.3MP SD.